Dr. Wright graduated from Emory with his Ph.D. in Genetics and Molecular Biology in 2013. During a rewarding post-doc at the University of Kentucky, Wright came face to face with the need for science policy. When he and his wife began the long and arduous process of becoming foster parents in Kentucky they realized that the opioid epidemic was hitting their state hard. The state government wasn’t taking relevant scientific research into account and was failing to stop the epidemic. This neglect resulted in a foster system flooded with children orphaned by their parents’ overdoses and babies addicted to drugs themselves. As a potential parent, this was worrying for Wright. And as a scientist, Wright could painfully see how scientific research on addiction treatment could help. 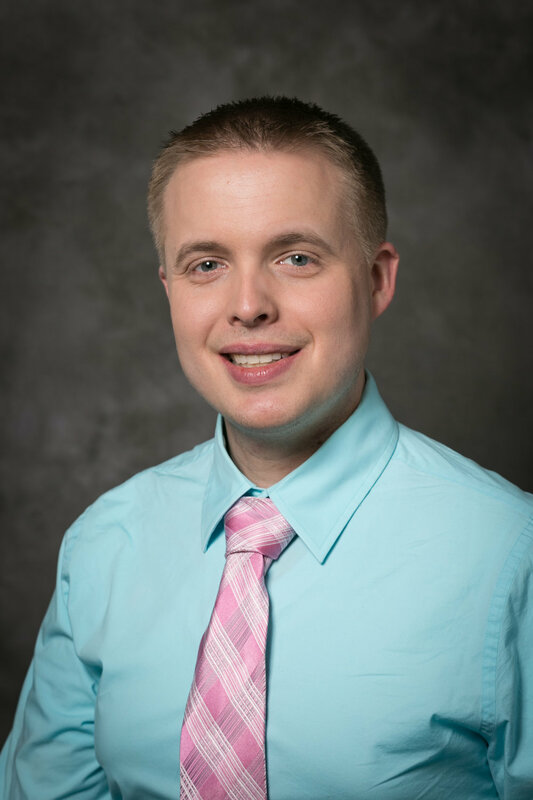 This motivated his work with Dr. Nathan Vanderford, publishing a paper on how science could improve outcomes for children and parents in Kentucky. A passion for science policy was launched in Wright. Today, scientists like Wright are key to the future of science in the United States. Wright is a AAAS Science and Technology Policy Fellow at the National Eye Institute. His fellowship places Ph.Ds. in positions around the federal government, where they apply their scientific and research expertise to policymaking. When he began the fellowship, Wright admittedly knew very little about science policy and was starstruck as he met some of the big names in science and healthcare policy like John Holdren, President Obama’s science advisor. As a fellow, Wright works in the Office of the Scientific Director which oversees the intramural research program and develops initiatives on trainee development, research administration and more. More effective policy and funding plans are possible when science policy experts bridge the gap between researchers and policy makers. One initiative Wright is particularly proud of is organizing a contest to design a virtual reality blindness simulator. “I consulted with experts in psychophysics and virtual reality technology to determine whether this project would be feasible and how it could be implemented,” Wright said. This simulator will help NEI allow sighted individuals, including those in Congress, to step into the shoes of a visually impaired person. Wright hopes after getting an idea of the daily life experiences of patients with vision loss, people will be more interested in funding research for treatments. This device will “promote awareness and encourage interest in what basic research scientists are studying in the lab,” Wright says confidently. Interested in making science more effective and inclusive, Wright is creating a new survey of women and underrepresented minorities focused on vision research, optometry, and ophthalmology. More diverse teams have higher productivity and are cited more frequently, however like so many fields, the vision research community is still dominated by white men. “The lack of women and underrepresented minorities in vision research impairs our nation’s ability to remain a leader in science and innovation,” he argues. Wright is eager to share his results, which will identify specific areas of vision research that need the most improvement. With his AAAS Fellowship, Wright plays a role in several important aspects of science policy, which makes it impressive that Wright is also still writing and publishing as a scientist. Even without a research lab, Wright stays in touch with recent publications in his field, and has published an analysis of how committees hire tenue track faculty candidates. He was thrilled when his article was published in Nature Biotechnology and featured in Inside Higher Ed and Science Careers. This opportunity to stay connected to the science world while working in policy surprised Wright, but is a welcome opportunity. In fact, Wright is happy to say he interacts with more scientists, from more diverse fields, than he did before arriving in D.C. as a AAAS Fellow. “I still love scientific research, but I’ve found I love bridging the world of science with the world of policymaking even more..."
In this new frontier of politics and science policy, brave scientists like Wright inform and improve the use of scientific thinking in government. And Wright has some advice to scientists concerned about how the treacherous political landscape is affecting their work; keep an eye on the budget for 2018. Science funding was discussed early as a target for cuts but as Wright says, “support for basic research helped our nation emerge as a superpower during the last century, and we should keep giving our researchers the resources they need to succeed.” It seems that no one is better suited to make this case than scientists. And did Wright and his wife ever become foster parents? Good news! After moving to D.C. for his fellowship they began the process to be foster parents in Maryland and are even expecting the birth of their first child in March! *Everything conveyed here is the opinion of Charles Wright and does not reflect that of the NEI or NIH. These are his personal thoughts and are in no way meant to provide any sort of official commentary on his position.